Who missed Ahomiya and Buchou? Hotaru no Hikari is one of my all-time favorite Japanese dorama. I watched both first and second season and I’m looking forward to the movie adaptation of the manga by Hiura Satoru. 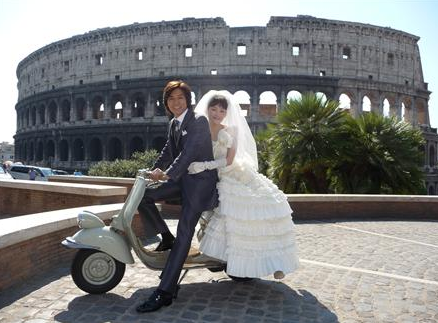 There’s update from the Japanese press on the cameras rolling in Rome. I’m glad they retained Ayase Haruka and Naohito Fujiki in the lead roles or else all the himono onnas would go up in arms. What I like about Japanese dramas turned into movies, they rarely disappoint. Perhaps it’s because of the structured minds that they operate on. Think HERO, Nodame Cantabile and Hana Yori Dango.